Shots have been fired in the Marvel vs. DC war, at the former announced plans at New York Comic Con Saturday to move into their rival’s territory. 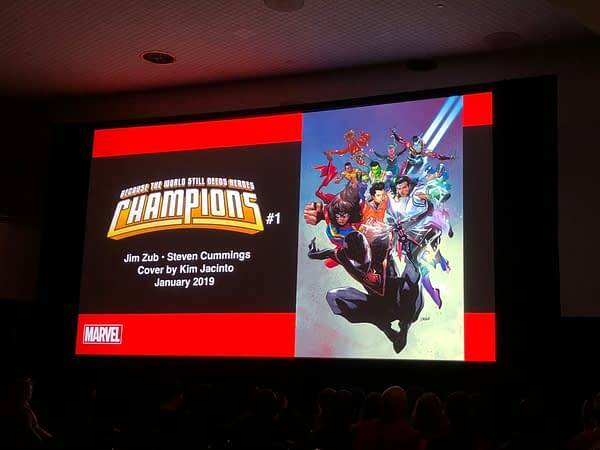 It seems that Champions is relaunching with a new number one issue, having dared to hit double digits, a big no-no at Marvel. And according to writer Jim Zub, the book will feature “the biggest teen team you’ve ever seen.” Yes, that’s right, Zub is going after DC’s Legion of Superheroes, calling the All-New, All-Different Champions a “legion of heroes in the Marvel U.” Steven Cummings will provide artwork. 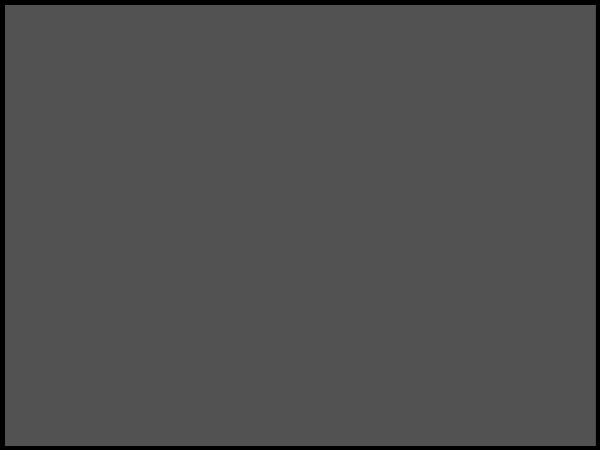 Bleeding Cool’s Madeline Ricchiuto was embedded on the front lines of the war at the Next Big Thing panel, and she managed to capture this Pulitzer Prize worthy wartime photograph from Marvel’s deadly power point presentation. Thank goodness Marvel addressed the rising issue numbers on Champions and gave fans a new number one issue before things got out of control here. Look for Champions #1 in stores in January.